Sweetbridge, the global blockchain alliance developing protocols to enable frictionless commerce and low-interest financing for individuals, businesses, and enterprises, has today announced a partnership with Mattereum, the London-based Internet of Agreements (IoA) infrastructure company. Mattereum will undertake the legal and technical development work to ensure that legal texts and their corresponding digital equivalents represented in Sweetbridge ecosystems are compliant with regulations in relevant jurisdictions. Mattereum lawyers and developers will work with Sweetbridge Alliance members to create smart contracts for specific applications and use cases, ranging from global trade in real-world goods to token sales on the Sweetbridge crowdsale platform. Mattereum will create and manage the legal and technical systems required to implement the control and transfer of rights in material and intellectual property, as well as digital assets. Non-performance issues will either automatically be resolved by smart contracts or mediated by an international commercial arbitration court. Mattereum’s panel of technically competent, independent arbitrators are able to make legally binding rulings that are enforceable in more than 150 countries. Sweetbridge has recently released a whitepaper outlining its crowdsale platform. 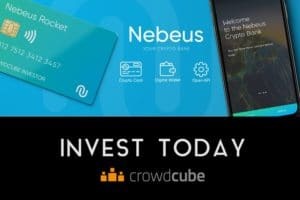 Companies that conduct their crowdsales on the platform must use an incremental token release, called a “slow drop,” in which additional tokens are only added when the network grows. Sweetbridge sponsors the development of blockchain-based economic protocols and applications to transform high-friction global supply chains into Liquid Value Networks. The Sweetbridge Alliance is an independent member-run non-profit that is building a global network of organizations comprised of interested industry technologists, blockchain projects, and open-source contributors from around the world. Its goal is to transform brittle, industrial-era commerce through decentralized industry ecosystem that create a faster, fairer value exchange, unleash working capital, better utilize resources, and optimize talent for the benefit of all participants. Based in London, with a team comprising programmers and lawyers, Mattereum (MTRM Industries) was established in 2017 to bring the power of blockchain software to legal contract execution and to provide reliable legal interpretation and enforcement to digital trade. The foundation for the global Internet of Agreements, Mattereum constitutes the next generation of digital commerce that will underlie many companies’ operations. It is founded by a team with proven experience of designing and launching nation state-level infrastructure and its core ambition is to enable business on the blockchain, creating a system of decentralized commercial law by automating legal contract execution, with enforceability.